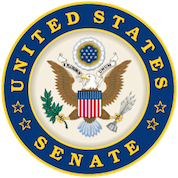 The Senate Committee on Indian Affairs has jurisdiction to study the unique problems of American Indian, Native Hawaiian, and Alaska Native peoples and to propose legislation to alleviate these difficulties. These issues include, but are not limited to, Indian education, economic development, land management, trust responsibilities, health care, and claims against the United States. All legislation proposed by Members of the Senate that specifically pertains to American Indians, Native Hawaiians, or Alaska Natives is under the jurisdiction of the Committee.